United Caribbean Trans Network (UCTRANS) is the first Caribbean trans initiate that will encompass our voices together to advocate on behalf of the Caribbean trans community to promote the protection and recognition of the human rights of trans persons in our region. 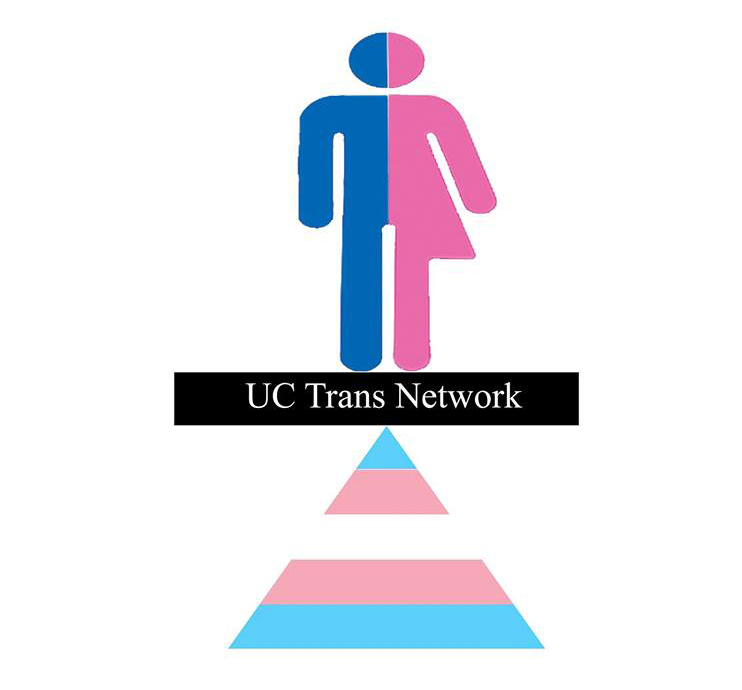 UCTRANS envisions a network that highlights issues experienced by all trans persons and wishes to ensure that trans-masculine and non-binary persons are represented. We want to work in conjunction with our communities and government to champion the human rights protection and healthcare needs of trans persons as well as to provide support in leadership, governance and strategic guidance to the local transgender movements in the region, including those in Trinidad and Tobago, Belize, Guyana, Jamaica, Cuba, Suriname, Dominican Republic, the Organization of Eastern Caribbean States (OECS) and Haiti. Historically transgender people in the Caribbean have experienced structural gender-based violence throughout their lives, which impedes their effective access to services and contributes to poor health outcomes and quality of life. Unfortunately, in our region trans people experience economic, physical, sexual violence, and other human rights violations based on their gender identity and expression just by expressing their identity and living openly as who they are. UCTRANS stress that there is entrenched and widespread discrimination against transgender persons across the Caribbean including: no legal recognition of transgender people’s gender identity in most countries. This results in exclusion from social and civic participation; violence, harassment, and high stigmatization levels, limited access to legal protection, justice and redress, and inadequate provision of healthcare services. The lack of access to adequate healthcare services is linked to the high rates of HIV prevalence among transgender persons in the Caribbean. Estimates show that HIV prevalence for transgender women in the region range from 8% to 31% and there are very few HIV care programmes that address their specific needs. Trans persons in the Caribbean are immersed in a cycle of exclusion and poverty that makes them more vulnerable to violence. This exclusion starts with the lack of legal recognition of gender identity and makes it difficult for them to have access to the healthcare systems and formal work. In the region, trans persons cannot get their gender identity recognized on their personal documents. In the Bahamas, Belize, Guyana, Jamaica, Antigua, Trinidad, Suriname and Barbados, they can change the name on some documents but not their gender marker. In the Dominican Republic and Haiti, they cannot adapt their personal documents to their gender identity. UCTRANS highlights that legal gender identity recognition encompasses the components of name and gender marker, thus having just a name change does not fulfill the State’s human United Caribbean Trans Network (UCTRANS) rights obligations. It is necessary to get the gender marker changed in conjunction with the name to guarantee the recognition of the juridical personality of a trans person. Gender identity is a constituent element of the identity of the people. Consequently, its recognition by the State is crucial to guarantee the full enjoyment of rights including the right to health, education, employment, housing, access to social security, as well as the right to freedom of expression, and association. UCTRANS emphasize that the legal identity recognition is one of the means that facilitate the exercise of the rights of juridical personality, to name, nationality, among others, recognized at the national level in the different countries of the Caribbean. But also, that are also included on international instruments such as the American Declaration of the Rights and Duties of Man and the Universal Declaration of Human Rights. The lack of recognition of the identity implies that the person does not have legal proof of their existence, hindering the full exercise of their rights. Trans persons in the Caribbean cannot exercise all our rights openly and normally participate in the daily activities of the society because we do not exist as who we are. We need to correct this harmful behavior and need our governments and policymakers to stand by us. We need to strengthen and develop together as a unified Caribbean region, where every human being received respect and recognition of the rights they are entitled. UCTRANS believe that we need a Caribbean where trans people are free from stigma and discrimination, can enjoy supportive human rights-based policy frameworks, legal gender identity recognition, have access to progressive and efficient transgender-focused healthcare, education and access the formal job market. Now, with UCTRANS, trans persons in the Caribbean now have our own space and a strong voice to request our governments for public policies to protect and recognize our human rights. We want to work as a channel to get all trans voices heard in the Caribbean, especially those that have been shut at the national level because of the exclusion, violence, stigma, and discrimination. Trans rights are human rights, trans people do exist in the Caribbean, and we are entitled to get our gender identity recognized. It’s time for our governments to take a step forward to equality. UCTRANS urges our governments to fulfill the international human rights obligations and honour the diversity that characterizes the Caribbean region, joining efforts to protect and recognize the rights of trans persons and to grant gender identity recognition through expedited administrative procedures. UCTRANS would like to thank the following organizations for their financial and technical support: Give Out, COC Nederland, Synergia, CVC, ECADE, Outright Action International and DMARCO Organization. OutRight's Caribbean program officer, Neish McLean, was voted the board vice president of United Caribbean Trans Network (UCTRANS) and OutRight is supporting the launch of this initiative.